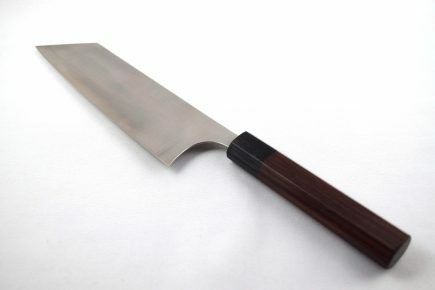 Shiro Kamo SG2 Petty Knife with a 13omm blade. 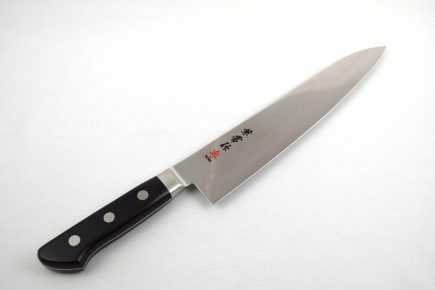 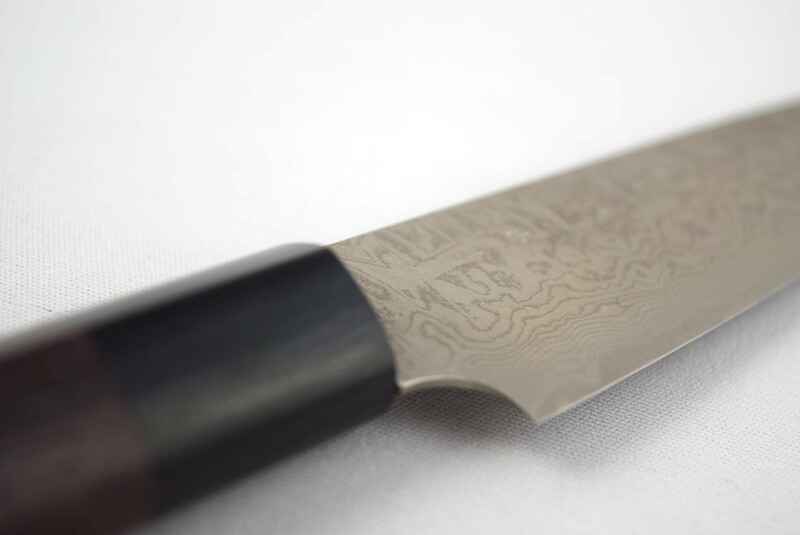 Mr. Kamo works from his small workshop in Takefu delivering handmade knives in different steels to the world. The SG2 (or R2) is a powder metal stainless steel which is hardened to 62-63 hrc. 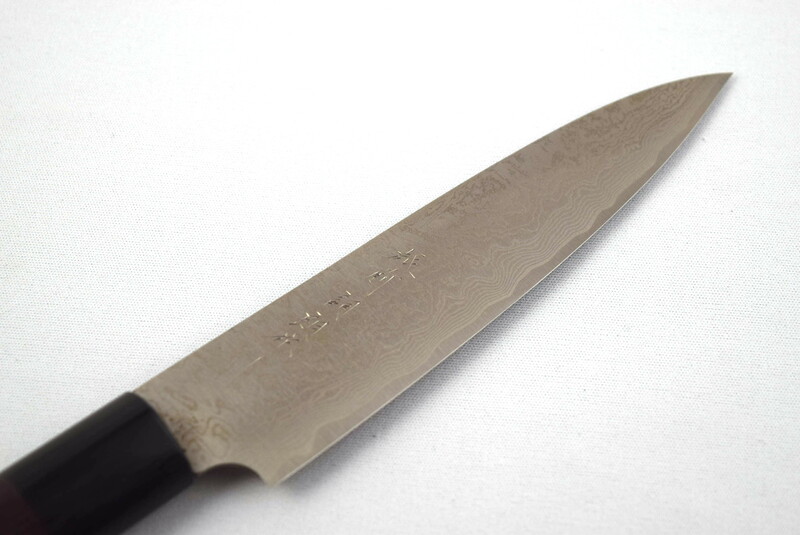 The beautiful damascus design makes the blade strong but still keeps a bit more flexibility compared to mono blades. The powder metal steel can keep a very nice edge and not a lot of maintenance is required. 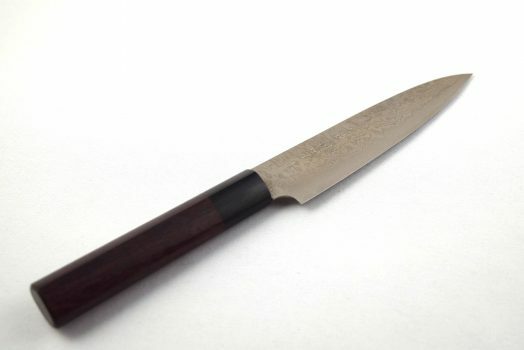 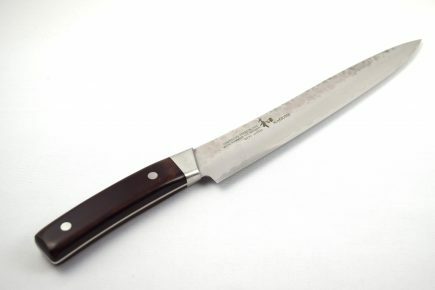 The handle is a d-shape rosewood which is more suitable for right handed user. 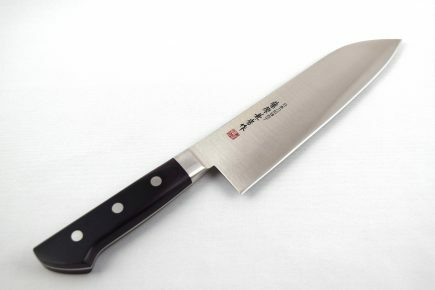 The Shiro Kamo range delivers great knives and for the steel and the craftmanship in that knife it is very reasonable priced!